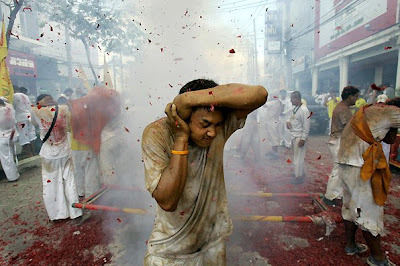 A colourful event held over a nine day period in late September/early October, this celebrates the Chinese community's belief that abstinence from meat and various stimulants during the ninth lunar month of the Chinese calendar will help them obtain good health and peace of mind. 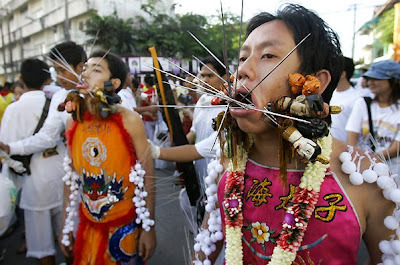 Though the origins of the festival are unclear, it is thought that perhaps the festival was bought to Phuket by a wandering Chinese opera group who fell ill with malaria while performing on the island. 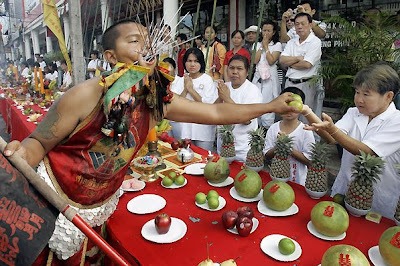 They decided to adhere to a strict vegetarian diet and pray to the Nine Emperor Gods who would ensure purification of the mind and body. 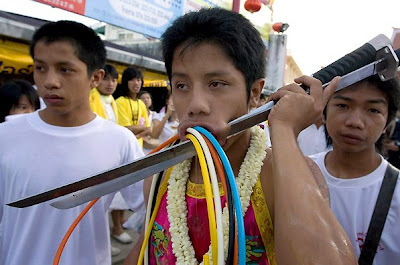 On recovery, the people celebrated by holding a festival that was meant to honour the gods as well as express the people's happiness at surviving what was, in the nineteenth century, a fatal illness. 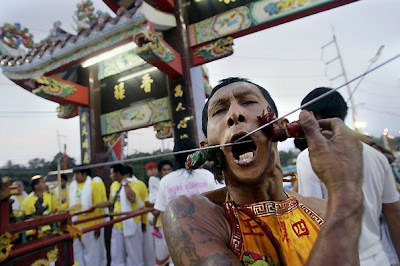 One of the most exciting aspects of the festival is the various, (and sometimes gruesome) ceremonies which are held to invoke the gods. 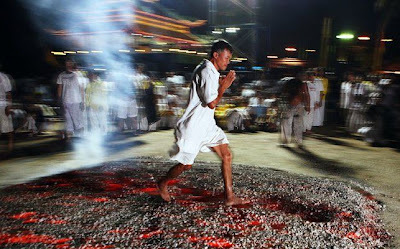 Firewalking, body piercing and other acts of self mortification undertaken by participants acting as mediums of the gods, have become more spectacular and daring as each year goes by. 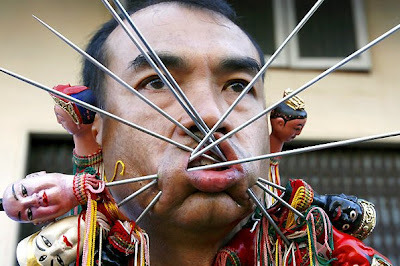 Men and women puncture their cheeks with various items including knives, skewers and other household items. 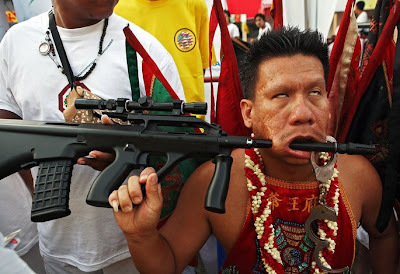 It is believed that the Chinese gods will protect such persons from harm, and little blood or scarring results from such mutilation acts. 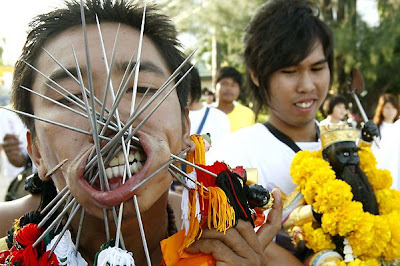 This is definitely not recommended for the feint hearted to witness.